Nestled in New Orleans' Faubourg Marigny (just 9 blocks from the French Quarter and 4 blocks from Frenchmen Street), Auld Sweet Olive Bed and Breakfast is a charming 1850s Creole home. Our guest bedrooms, each with their own private bath, are lovingly hand-painted by a local artist. Enjoy the comfortable double parlor, the garden and veranda, the private courtyard, and our delicious complimentary breakfast. Think of us as your home away from home in New Orleans… a peaceful and romantic hideaway next to all fantastic music, dining, and fun of the French Quarter! 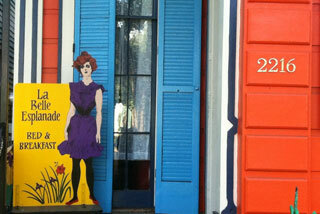 A colorful landmark is located in the middle of one of the most beautiful streets in New Orleans. Seeing it makes people smile. 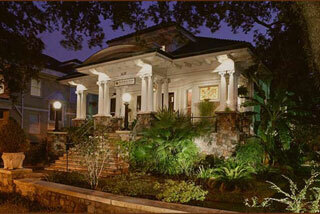 Good memories are made at La Belle Esplanade bed and breakfast. Private balconies in the front overlook picturesque Esplanade Avenue where it crosses Bayou Road, which is the oldest street in the city. The back garden is planted with hydrangea and oleander around the fountain. Antique charm and contemporary whimsy serve as your headquarters for New Orleans adventures in a scenic neighborhood where you never know what you’ll find around the next corner. 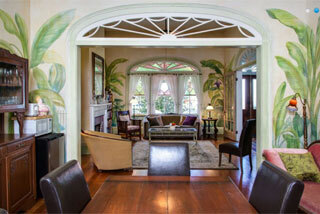 Terrell House, a New Orleans Bed and Breakfast with southern charm and graciousness in the heart of old New Orleans. At the Terrell House Bed and Breakfast located on historic Magazine Street in New Orleans, we invite you to be our guest and enjoy luxurious New Orleans style lodging, experience southern hospitality and immerse yourself in all New Orleans has to offer. 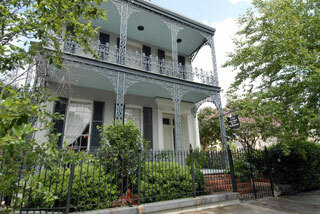 For Extended Stays when visiting New Orleans, ask us about our Creole Townhouse.